For more than forty years, Jack Germond has been covering politics for Gannett newspapers, the Washington Star, and the Baltimore Sun, and talking politics on the Today show, The McLaughlin Group, and Inside Washington. 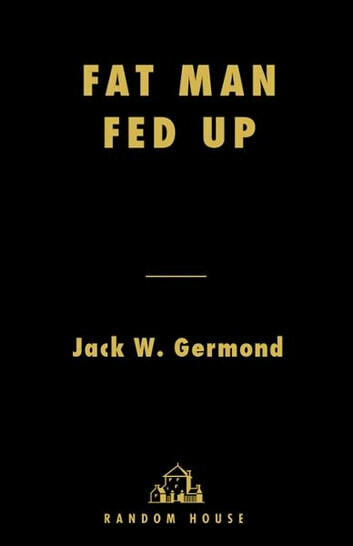 Now, in Fat Man Fed Up*,* Germond confronts the most critical issues raised by our election process and offers a scathing but wry polemic about what’s wrong with American politics. Is there any connection between what happens in campaigns and what happens in government? And if not, where does the blame for the discontent lie? Was Tocqueville right? Do we get the leaders we deserve? Indeed, according to Germond, the politicians aren’t the only ones to blame, or even the chief culprits. He describes how he and his colleagues in the news media have been guilty of dumbing-down the political process–and how the voters are too apathetic to demand better coverage and better results. Instead, they simply turn away and too often end up enduring third-rate presidents. • Polls and how they are used and abused by politicians and press to mislead gullible voters. • The critical failure of the press to accurately portray figures in the political realm, from Eugene McCarthy to Barbara Bush to Al Sharpton. • How the complaints about liberal bias in the press miss the real point: whether that bias, if it exists, colors the way editors and reporters work. • The staggering influence of television, and the networks’ inability to provide anything but the most simplistic coverage of politics. • The “big lie” school of campaigning. From “Where’s the beef?” to “compassionate conservatism,” the politics of empty slogans has always placed noise above nuance: Say anything loudly enough and long enough, and voters are bound to mistake it for the truth. 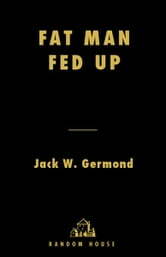 Along the way, Germond illustrates his arguments by drawing from his war chest of priceless anecdotes from decades in the business. With his inimitable combination of incisive journalism and sardonic and witty straight talk, Germond guides us through the fog created by candidates and the media. In this timely, outrageous, and compulsively readable book, no one is let off the hook. Fat Man Fed Up is a bracing look at how we never seem to get the truth about the people we’re electing.